These beautiful book and DVD present the results of the “Memory Workshop”, organized in 2009. A dozen Cambodian artists were brought together, including painters Vann Nath and Sera. Art nurtures symbols and can therefore help us understand Cambodia’s collective trauma and more respectfully honor the memory of the forgotten victims. The workshop strives to build up on the past by showing archives images and accounts of violence and mass crimes. While facing Cambodia’s tragic experience of the Khmer Rouge genocide, memory creations could in turn give meaning to "acts of extermination" and connect a painful past with the ongoing present. Art can foster new experiments and exchange, therefore opening up the country to action and reflection. In this art book, Rithy Pahn and Agnes Sénémaud describe the Bophana Audiovisual Resource Center as a place where Cambodia’s core memory issues are addressed. Accessing memories is primarily a matter of right, freedom and of inner wealth. Pierre Bayard studies the representation of evil by Rithy Pahn, Sera and Vann Nath. He shows how artworks devoted to criminals are in fact dominated by the idea of "the incomprehensible" and by one question: how do we come to commit mass slaughter? Soko Phay-Vakalis shows that the traces, fingerprints or figures of ghosts in the work of Vann Nath, Sera and young artists, reveal that the past has not passed yet. It keeps coming back, like an obsession. Richard Rechtman claims that the Khmer Rouge wanted to erase the spatial and temporal boundaries between the living and the dead. And this is where their genocidal intent stood. They wiped away all traces of their victims; but today the dead people become intrusive and are a constituent part of the livings’ identity. Anne-Laure Porée interviews Vann Nath and Sera on the workshop’s collective work but also on the various artistic and aesthetic approaches between the East and the West. 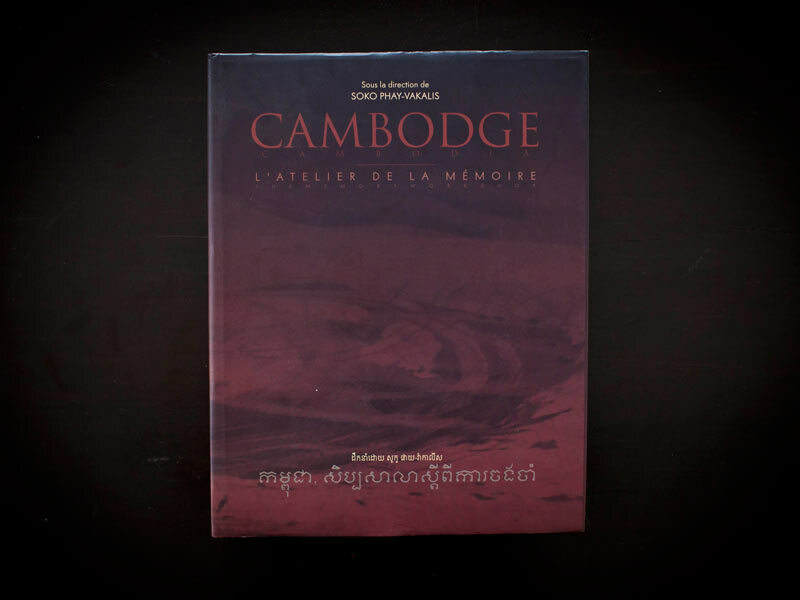 With their personal stories and the analysis of audiovisual documents, both artists were able to raise awareness on Cambodia’s Khmer Rouge past among the youth. Ashley Thompson shows how Bophana Center’s “Memory Workshop” has helped create new prospects. It has built bridges between the painful past and the ongoing present, between memory and art, and has also encouraged intercultural and transgenerational exchanges.